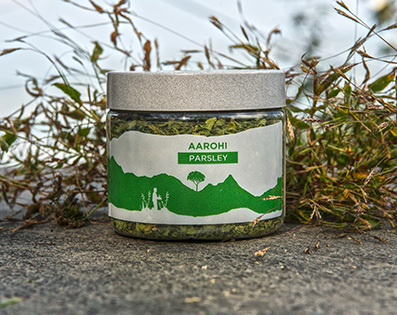 Parsley is a very nutritious herb, containing vitamins A, B and C as well as organic iron, potassium, silicon, magnesium and other trace elements. It should, however, be avoided by pregnant women. This tea stimulates the appetite, is a tonic and a cleanser, assisting the bladder, kidneys and liver and is excellent for people suffering from anemia. Parsley is used often as a garnish on potato dishes, on rice dishes, on fish, fried chicken, as well as meat or vegetable stews. It is also a source of flavonoid and anti-oxidants.